A critical thinker will gather relevant information in order to systematically analyze issues from a wide variety of perspectives. They will use logic and reasoning to evaluate the information. They will question ideas and assumptions rather than accepting them at face value. A critical thinker will keep an open mind as they separate facts from opinions. They will critically judge the validity of arguments and ideas in order to form a fair and unbiased opinion. Lastly, they will change their mind if they discover they were wrong. 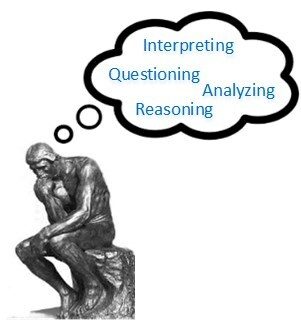 Critical thinking is the process of actively analyzing, assessing, synthesizing, evaluating and reflecting on information gathered from observation, experience, or communication. The ultimate goal of critically thinking is to solve problems or make decisions. This is achieved by mentally processing information in a clear, logical, reasoned, and reflective manner so you can understand things better. This mental processing of information includes formulating questions, evaluating evidence, and questioning assumptions.